It's a sad world we live in people, yes it's true we now have amazing technology at our fingertips, innovations that were just a dream as little as 10 years ago, stuff like huge leaps in smartphone capabilities and movie sfx. But somewhere along the way we along the way we lost touch with our roots. There will, tragically, be a whole generation that grows up thinking that the Michael Bay movies are the original Transformers. But for many Bay's OTT action splurges don't come anywhere close to the joy of The Transformers cartoons from the 1980s. This animated TV series, which was based on the Hasbro toys and animated in Japan and South Korea, holds many a good memory for people of a certain age. Memories of being sat in front of the TV enraptured in the thrill of warring giant robots. Warring giant cartoon robots no less. 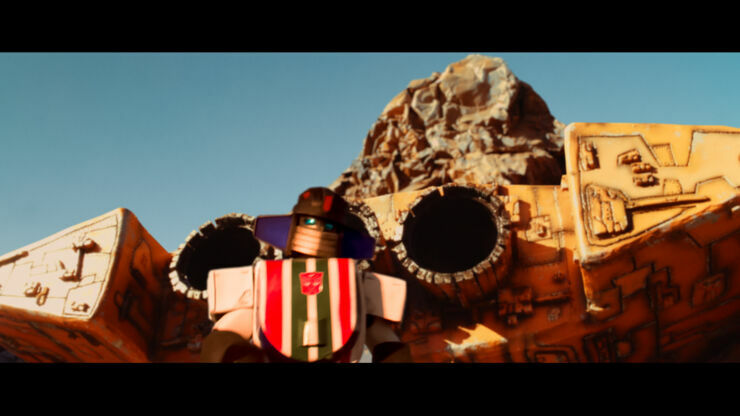 Filmmaker Lior Molcho and his team at Chisel Pixel have paid homage to this feeling and the series in their fan made short Generation:1 (the title is a nod to the original 80s series, there was a Transformers: Generation 2 in the 90s, but it just wasn't the same). The result is a brilliantly-realised live-action version of the cartoon, complete with quipping, humorous dialogue and the bold-colored, chunky style of the humanoid bots. The plot involves Bumblebee being kidnapped by the Decepticons, meaning Optimus Prime and the Autobots attempt to get him back while also trying to destroy a machine Megatron is building to harness energy from the earth's core. 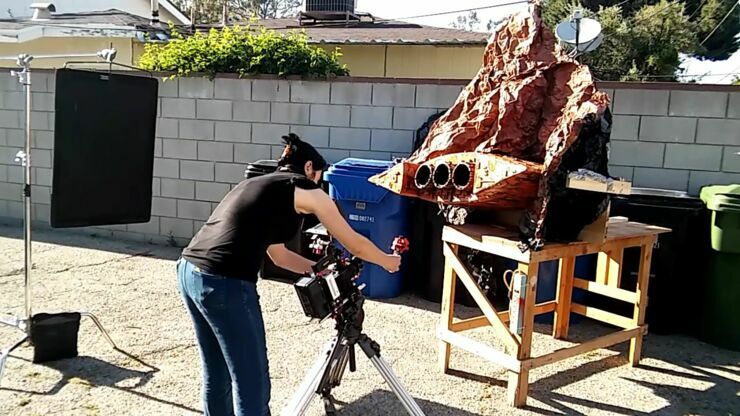 All in a day's (episode's) work for a Transformer battling on the side of all that is good. "I always loved the original show, and I was curious to return to it now as an adult and find out what was it about it that captured my imagination, and also my heart. Why do I love these characters?" Molcho explained to Smash via email. "So re-watching the first three seasons I found that the writing on the show is hilarious, and you can just feel that the writers had so much fun coming up with the ways that these robots would insult one another, and of course write again and again these great plots where they were saving each other's lives. I think that the original show is a labor of love, and we just tried to carry that into our own writing." As well as evoking the aesthetic and tone of the cartoon the short was also a celebration of practical FX, making the film the perfect antidote to Bay's CGI-laden blockbuster blowouts. The entire opening of Generation:1 was shot for real using a F15 RC plane and modified RC car chasing each other in the high desert in California, photographed with a drone flying overhead. They also built a miniature 6ft Arc in Molcho's backyard from foam, matching the camera angles they shot with the Transformers on location. The arc in the backyard and in the finished short. Even the lasers from the Autobots' guns were practical effects. "The lasers were hand painted by Itai Muller who also co-wrote the script with me," notes Molcho. "He's a matte painter working at [VFX company] The Mill and he studied the original animations and replicated that wild, breaking-into-bits look that the original animators developed." 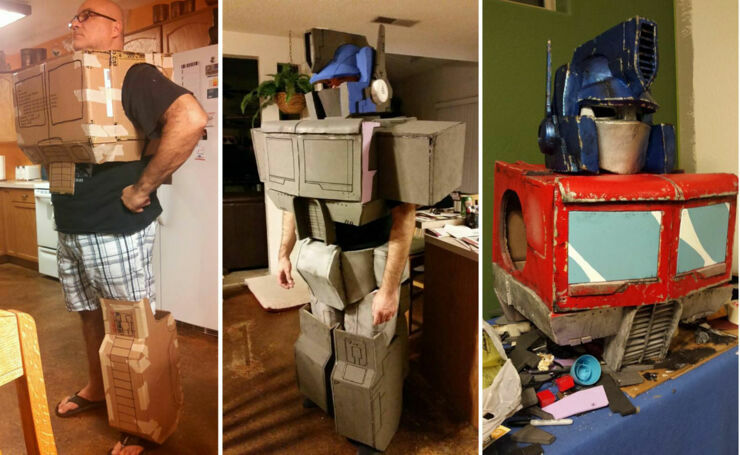 For the costumes Molcho teamed up with a group of cosplayers from Arizona who built the Autobot outfits from cardboard bases covered with EVA foam, then primed and painted them with automotive car paints. Along with these details in the production Molcho also made sure to replicate the "banter" aspect of dialogue from the TV series. So they wrote original script to echo this and included some actual lines from the show (such as Megatron telling Starscream "You couldn't lead Insecticons to a picnic!"). There's also some references and nods to Star Wars and Star Trek in there because, well, just because it's the right thing to do. Check out the short above. And someone tweet it at Michael Bay and let him know that this is far more fun than any of his Transformers movies. For more on how they did it you can check out the behind the scenes video below.